Florida Keys – April 1, 2019 – Coldwell Banker Schmitt Real Estate Company (CBSREC), based on dollar volume of sales for 2018, was ranked among the largest real estate companies in the United States, appearing at #467 in RIS Media’s Power Broker Top 500 Survey and at #484 in the 2019 REAL Trends Power Broker 500. CBSREC, once again, is the only real estate company from the Florida Keys to be ranked among the top 500 real estate companies in America in either survey. This means Coldwell Banker Schmitt ranks in the top 0.58 % of all 84,006 real estate brokerages in America. CBSREC also ranks as the 32nd largest Coldwell Banker company in the United States based on dollar volume of sales and as the #65 Coldwell Banker company by transaction sides. REAL Trends, Inc. is a communications and consulting company considered to be a leading source of analysis and information on the residential brokerage and housing industry. 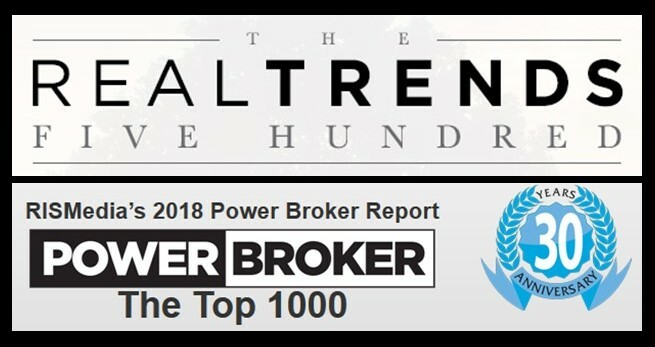 The REAL Trends 500, now in its 32nd year, is a leader in ranking the performance of residential real estate services firms. Due to its requirement of independent verification, the REAL Trends 500 can be considered a trusted source for information about the performance of these firms. RISMedia, publisher of Real Estate magazine, provides real estate professionals with up-to-date news regarding the latest real estate trends and various rankings, including its annual Power Broker Top 500 Survey, now in its 31st year. To be included within the Top 500, firms had to close a minimum of $541,380,476 in sales volume. Founded in 1955, Coldwell Banker Schmitt is the oldest and largest real estate company in the Florida Keys with offices conveniently located in each of the five major Keys market areas. It has been the Keys-wide leader in listings and sales since 2005 and boasts a 98+ percent rating of customer satisfaction. For additional information, visit Coldwell Banker Schmitt’s website at RealEstateFloridaKeys.com, or email info@cbschmitt.com, or call any of its five locations in the Florida Keys. To learn more about professional opportunities and why Coldwell Banker Schmitt agents and staff average more than nine years of service with the company, visit the Careers center.